Issue Notes: This book was first released online at Comixology.com in two installments (#47-48) for 99¢ each. This print edition has a cover price of $2.99. 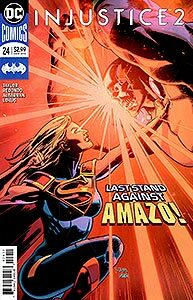 Story Notes: Booster Gold appears only in the first half of this issue, digital chapter #47. 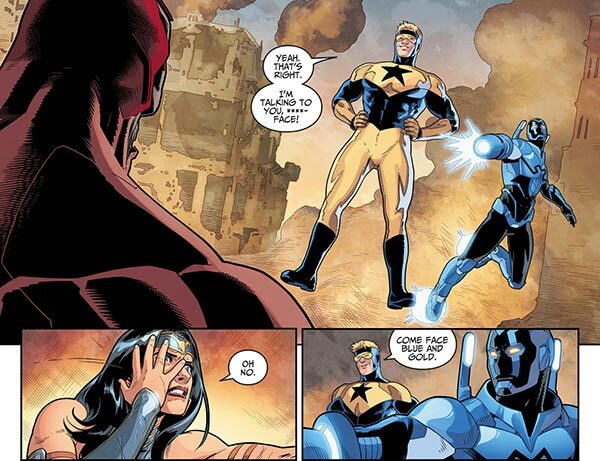 Booster's force field proves that it can still take a punch after Amazo hits him hard enough to shatter four skyscrapers. Ouch. That's going to leave a mark.